The most effective way to protect yourself and your home from fire is to identify and remove fire hazards. 65 percent of house fire deaths occur in homes with no working smoke alarms. 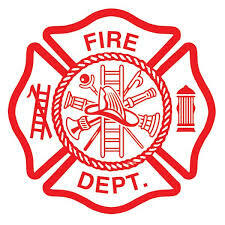 During a home fire, working smoke alarms and a fire escape plan that has been practiced regularly can save lives.
. Install smoke alarms on every level of your home, inside bedrooms and outside sleeping areas. Test them every month and replace the batteries at least once a year. When you hear the loud beep of the smoke alarm, get out of the house. Never hide or take time to grab your belongings or pets. Follow your escape plan. After all, you've been practicing! Call 9-1-1 or the fire department. Be sure to do this after you get out of the house. Remember: Only call 9-1-1 if there is a real emergency. Stay out! Once you're out, stay out. Don't go back for anything!